but I did not see death. but I took those miraculous footsteps back and cheated. or is it cheating if they were miracles? so that I may begin to last more than 1 week living for him. and to use them to touch the lives of others. I finally understood the meaning of grace. and stitching up your ripped apart heart. and open my mouth and start praising him. He taught me the art of worship. He helped me understand the proof of his love. his grace was sufficient in 2015.
my self esteem and self worth went from 45 to 110..
to learn to let go of my strong grip over my life. and take me where his spirit desires. and I am still learning everyday to accept it for myself. He's not finished with me yet. 2016 is going to be even more lit. I can see it already. You can! Takes practice and inspiration! Blessing women, love your words and a accepting Gods Faith and trust. Thank you so much for reading! Come back soon! About a week ago, my class commenced by watching a ted talk video of Chimamanda Adichie’s “The Danger of a Single Story”. She happens to be one of the most inspiring writers whose work I have always had the pleasure of indulging my frontal lobe. When I watched this video, I felt myself remembering and reliving my childhood. It was like she was telling my story, except for that Mariah Carey album lol. Although, I have had experience in a similar situation where people would ask me if I understood the African artist who featured on Beyoncé’s song, “Grown Woman”. I didn’t, but when I researched the artist, I found out that he, Ismael Kouyate, is an artist from Guinea. Well Guinea, is not exactly Nigeria, where I happen to hail from, but at least they got the continent right... right? This is a really delicate topic, so I’ll throw in a couple of “lols” just to loosen up the pathway for the heart trying to rise through the esophagus. So, how did I overcome depression? Actually the question is how am I overcoming depression? Depression began in my mid-high school years. The works: stay in my room all day, refuse to socialize with family, church family, school friends, (except for my high school best friend. Love her loads), refuse to eat in public (or with family), if I did, it would mean I'd have to socialize with people, which I did not want. I slept a lot and the sleep came easily. When it didn’t, I’d lay patiently until it came. There were days when I would feel so down and I wouldn’t know why. Guess Who Just Became a Tapered Babe! I had been speculating for years now. So I finally did it! So why did I cut it?? To be honest, I just woke up one day and decide against relaxing my new growth. I haven't relaxed my hair in 5 months and the hair really grew!! What really made me choose to cut it was just the thought of having short hair and being able to enjoy it. Oluwanitori is a model, blogger, writer, and poet, from Lagos, Nigeria. 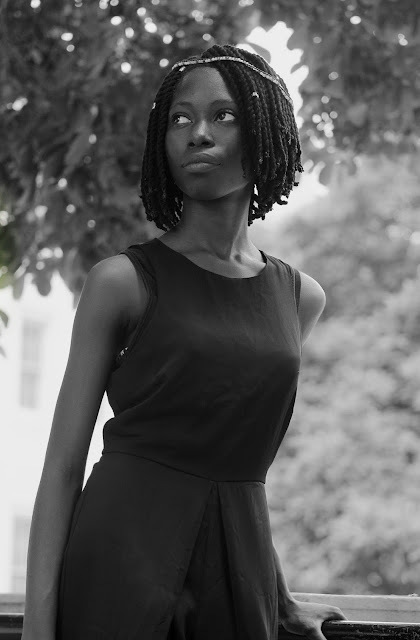 Her passion for mental health and life in the African diaspora drove her to create her own personal blog www.oluwanitori.com She writes freely about issues that personally affect her culturally, spiritually, mentally and academically through short stories and poetry. Some of Oluwanitori's work is published on www.brittlepaper.com and www.parallelmagz.com, where she sheds light on some of the struggles young West African immigrants living in America face. Oluwanitori's aim and purpose is to fight down barriers and limitations foisted upon young African and Black women by breaking down mental health stigmas, bringing sexual abuse/violence awareness and African culture awareness through the art of poetry, short stories and conversation on various platforms.